This medley beautifully weaves together two classic Christmas songs. 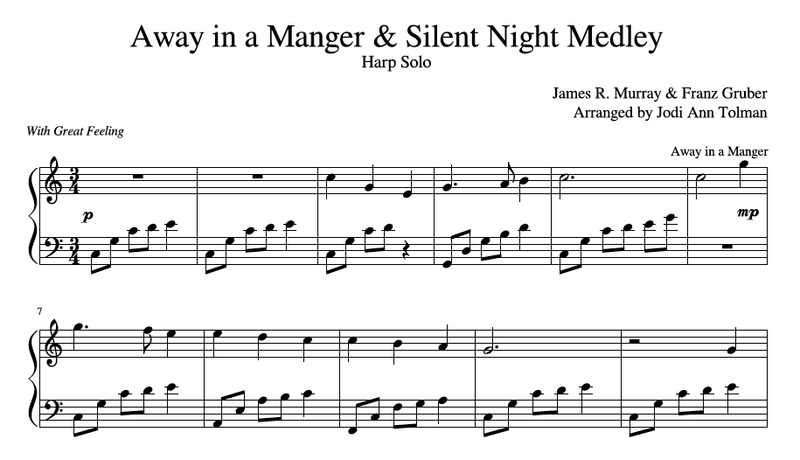 This arrangement begins with Away in a Manger, transitions to Silent Night, and finishes with a combination of the two tunes. 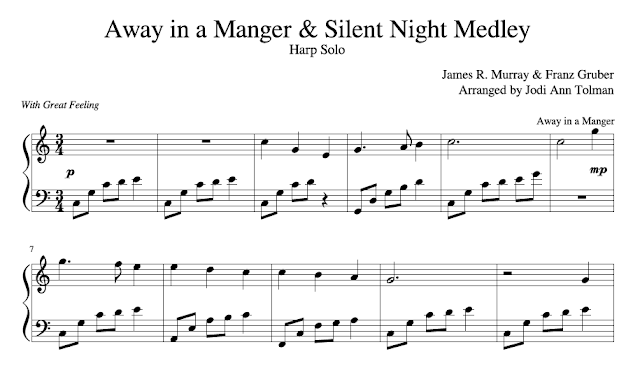 This arrangement uses less traditional chords with the familiar melodies to create a very reverent and contemplative feel to these two calm and peaceful Christmas tunes.